May, spring is finally arriving! 14th May 2013 – I always find there is something really fascinating about watching a field being ploughed, the way the plough cuts through the earth and turns it over. The daisies below hadn’t quite been turned in. 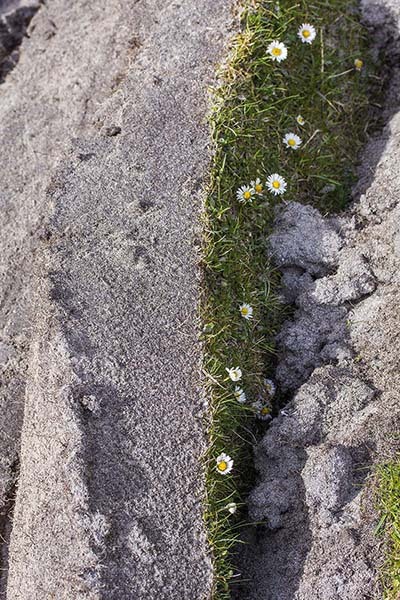 You can see from the picture how sandy the soil on the machair is here. One of the reasons that there is always such an amazing variety of wildflowers on both the cropped and the fallow plots is because the ploughing is only shallow here, meaning that the wildflower seed doesn’t get buried, giving it chance to germinate. If you haven’t seen the machair in full bloom in July you haven’t lived, really, it’s amazing! 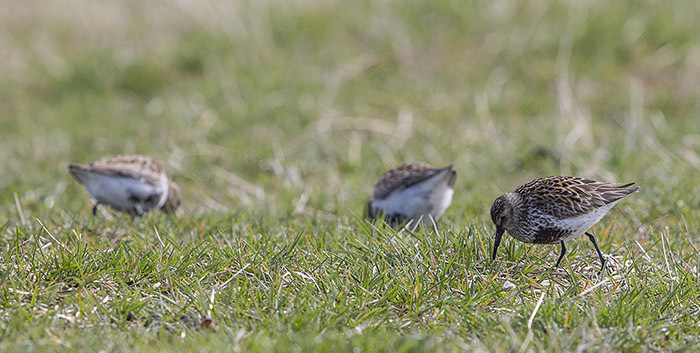 15th May 2013 – There were hundreds and hundreds of Dunlin around on the range today, one of my very favourite waders. In amongst the Dunlin there were also small numbers of Turnstone and Ringed Plover. No doubt they are all on their way north, further north than here, to breed. A very mixed day weatherwise – a bit of everything i think – sunshine, strong winds, heavy showers, the odd rainbow. Lovely sunset tonight. 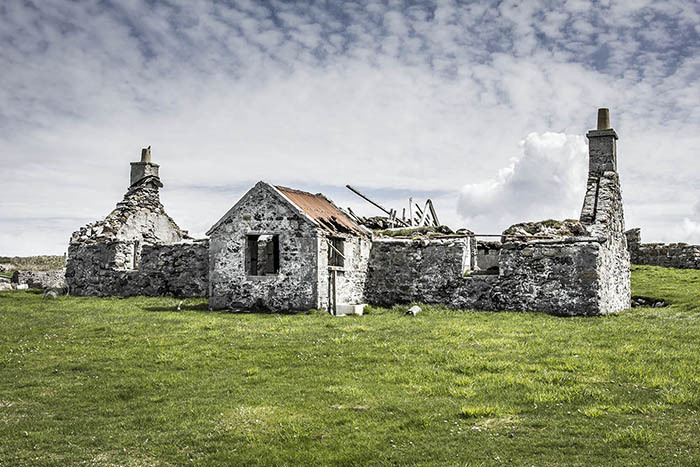 16th May 2013 – Working at Berneray all day today. 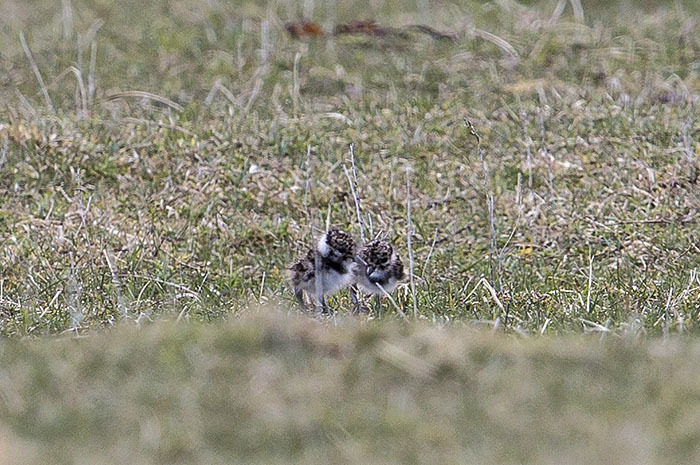 This is a really crud photograph but i spotted these tiny Lapwing chicks and they were pretty far away, right on the limit of getting any sort of photograph really. Hope they survive, the weather has been very cold and wet and then there is the constant threat from the gulls and skuas that patrol the area. Nature is harsh. Stonechat new for the patch today. 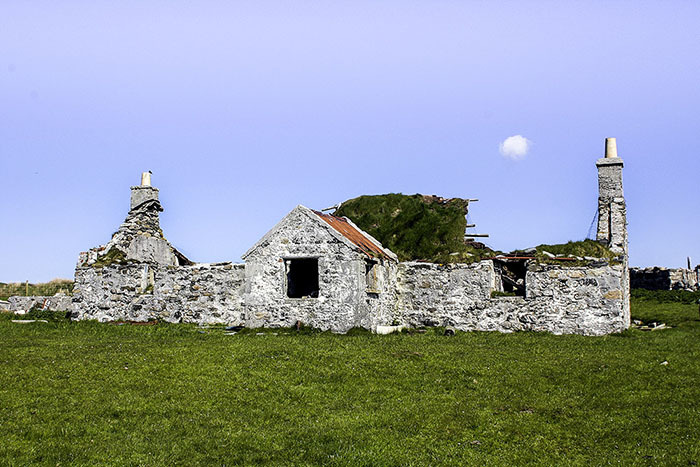 17th May 2013 – I’ve been meaning to stop for ages and re-photograph this old, derelict blackhouse. I originally photographed it eight years ago and wanted to compare the photographs to see how much it had deteriorated during that time. To my surprise and given the harsh conditions here it hadn’t got much worse, apart from the last section of roof caving in. Much to my amusement there is a Starling on the left hand chimney and in the eight year old version there is also a Starling – i guess they are nesting down the chimney. I also noticed that the old belfast sink is still outside on both photographs. 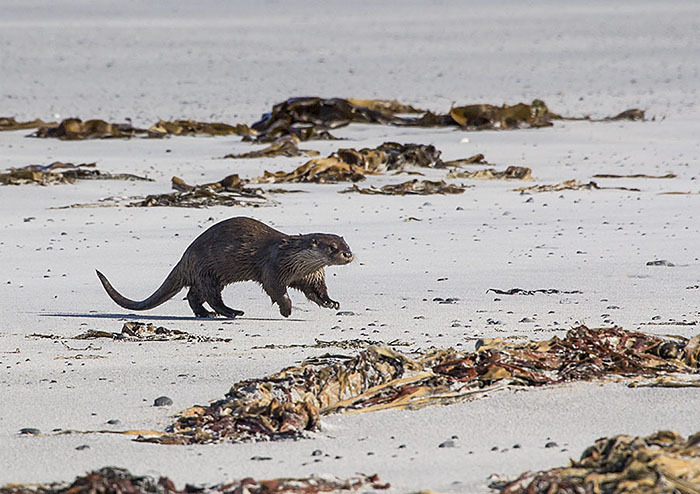 When i got home i found a very excited Ian who was saying “you have to have a look at the photo i took!” He’d got a stonking shot of an otter running across the beach in front of him! 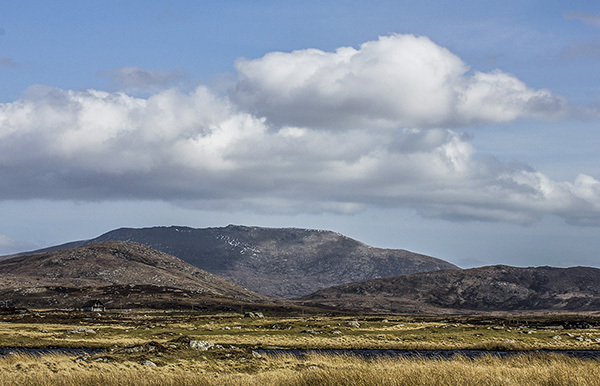 18th May 2013 – I must say I was very disinclined to even set foot outside of the house today, the cold northerly wind was gusting up to 41mph, although it has been bright and sunny so not all bad. After a week of early mornings I allowed myself the luxury of a lie in – even though I did wake up before 7am! 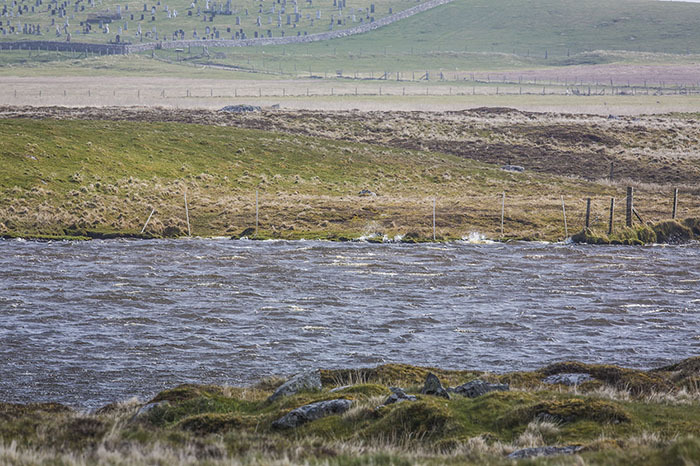 The photo today shows the view from the front window across the loch, looking towards the cemetery. I was quite impressed with how the waves on the loch were breaking over the edges of the far bank – nigh on impossible to capture and convey the strength of the wind in a photograph. We were amazed to find this male Ruff (Philomachus pugnax), almost in full summer plumage. 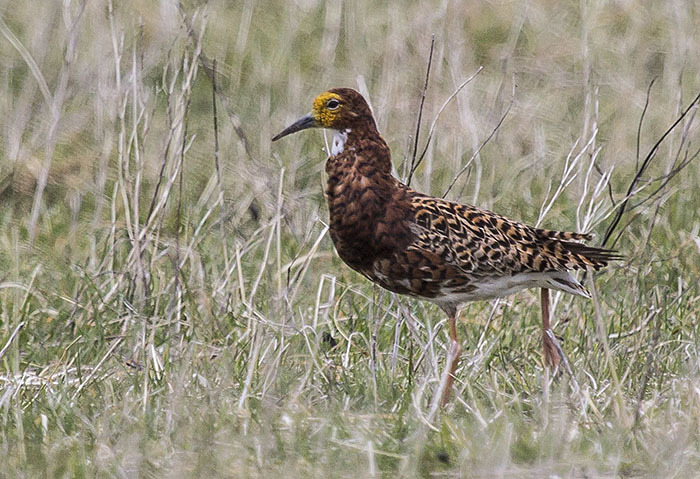 There are very few spring records for Ruff here in the Outer Hebrides, they are mostly seen in the autumn when they are migrating back south. 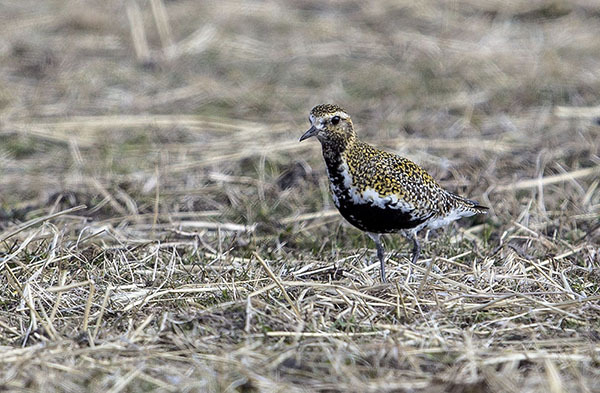 The only other place i’ve seen Ruff looking as magnificent as this is Sweden where i saw them on their breeding grounds. Spring finally on the way! We had a couple of weeks down on the mainland, the main reason, of course, for going was Ian’s mum’s funeral. Everything went as well as a funeral can go, it was a lovely celebration of mum-in-law’s life and there were lots of people there as could be expected really, she was such a lovely soul who never had a bad word to say about anyone. While in close proximity to London we were able to catch up with friends. 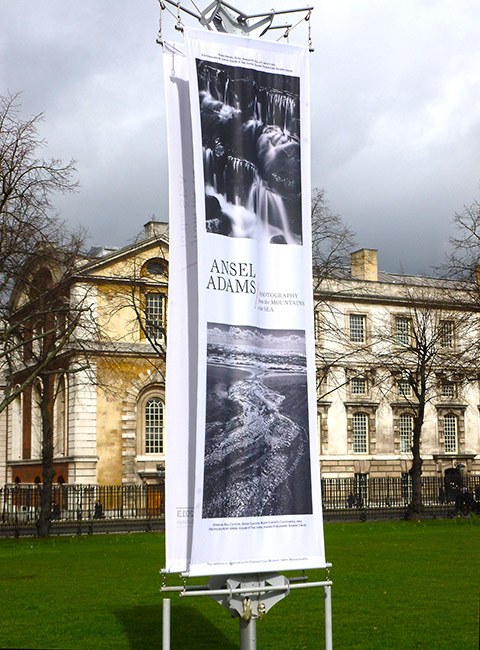 One of which, Gill suggested visiting the Ansel Adams exhibition that was showing at the National Maritime Museum in Greenwich. It wasn’t really Ian’s thing so i headed off on my own into London – feeling very country girl hick! Managed not to get lost. Anyway i enjoyed the exhibition immensely and then became even more adventurous by heading off into central London to go to the National Portrait Gallery where i had pre-booked tickets to the Man Ray exhibhition. 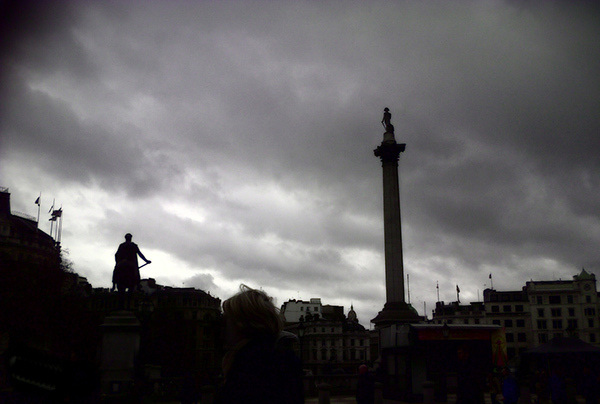 I arrived a little early – before my allotted time so sat on the wall in Trafalgar Square taking in the sights! 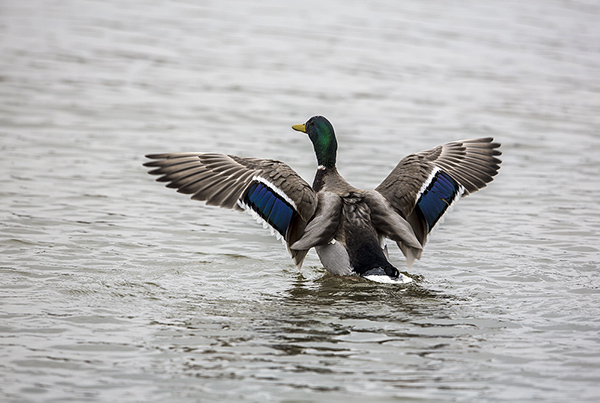 In the afternoon we headed down to Wall Farm at Kynnersley – wow, that hide hadn’t changed in years – it must have been 12 years since Sara and i had visited. The posters that we had put up in 1998 advertising the YOC were still up on the wall. Yes, good old YOC, remember them? None of that Wildlife Explorers stuff back then! We half expected to see our own ancient notes in the hide log book but that at least had been updated recently. We thought we might see some hares out across the field but no luck. Ian hadn’t explored shropshire very much so we did a little bit of touristy stuff. Visited Ironbridge, bought pork pies from Eley’s. 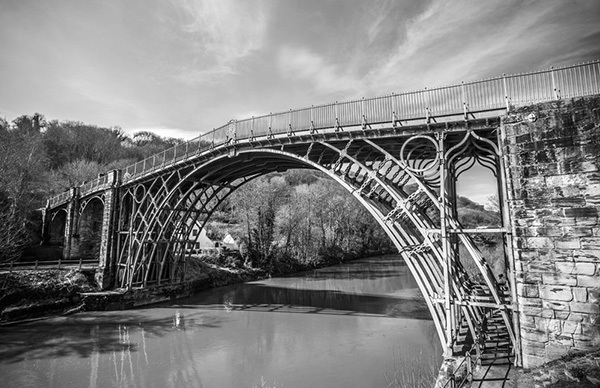 The famous Ironbridge across the River Severn. Another day we went out to Church Stretton and up over the Long Mynd – couldn’t see a darn thing for the thick fog! Ah well next time. 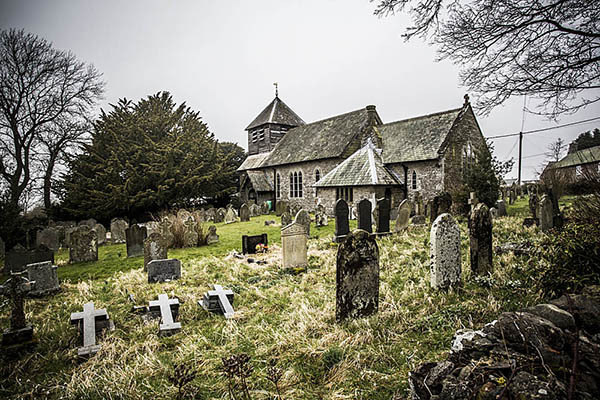 Stopped off at Wentnor (home of my ancestors) and had a look around the church there. A lovely spot. 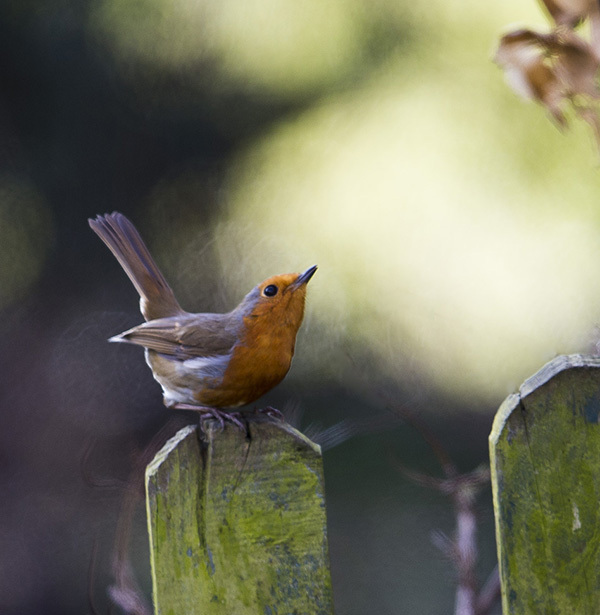 Mum and dad’s garden had a constant stream of bird visitors and i kept a list every day i was there. Good to see was Nuthatch – too quick for me to get a photo though. Siskins and Reed Bunting were also regulars and of course all this activity attracted the attention of a Sparrowhawk which had the occasional flyby. Needless to say we had no ringing equipment with us! An uneventful journey back north but we seemed to have got out of the south just in time – we left Shropshire on Thursday 21st March at 4am and a few hours later it started to snow, and didn’t stop for three days! 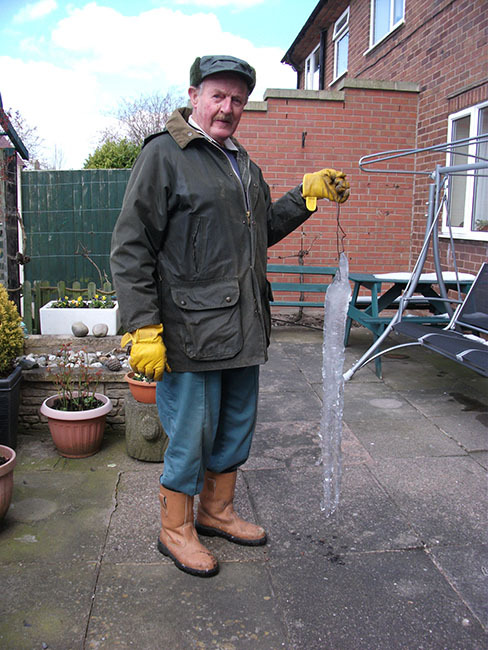 At the time of writing (8th April, mum says there is still snow lying under the hedges in places). 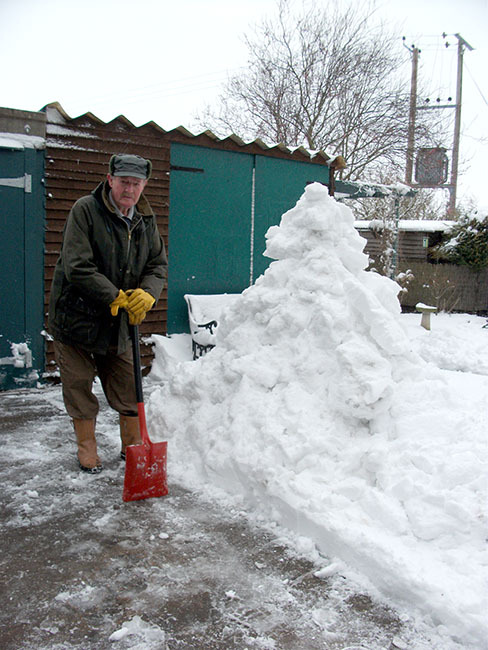 Plenty of snow down south! 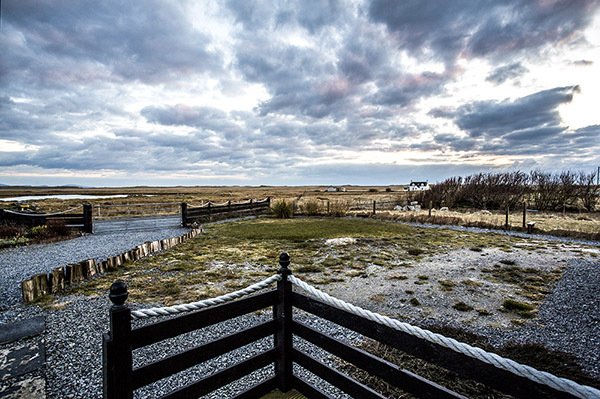 No such trouble with the weather here in the Hebrides! We’ve had a very cold easterly wind but it’s been wall to wall sunshine for more than two weeks now and not a drop of rain. 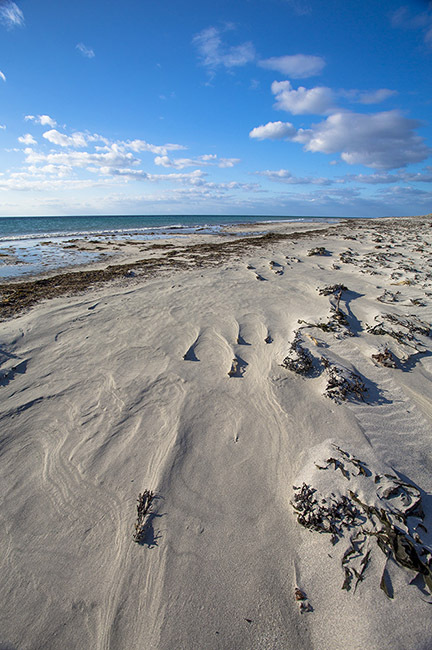 Meanwhile, here in the Hebrides… Fab day for a walk on the beach! Snow, what snow? None here! 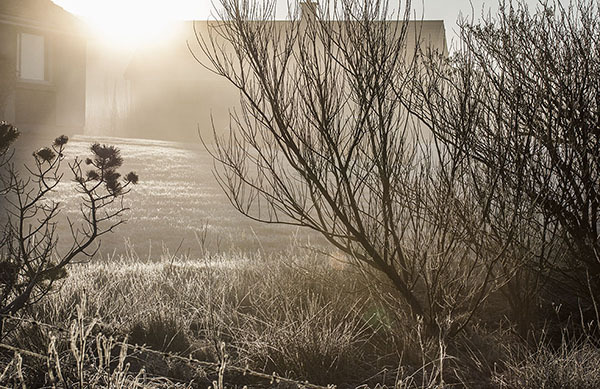 Cold, frosty mornings but cloudless sunny days. Straight back into patchbirding as soon as we got back and a few additions have been Black-headed Gull, Sparrowhawk, Linnet, Shoveler and Goldfinch plus the Pied Wagtails have arrived 🙂 We had a trip down to North Uist to have another look at the Harlequin Duck – no good shots, it remained distant all the time we were there. 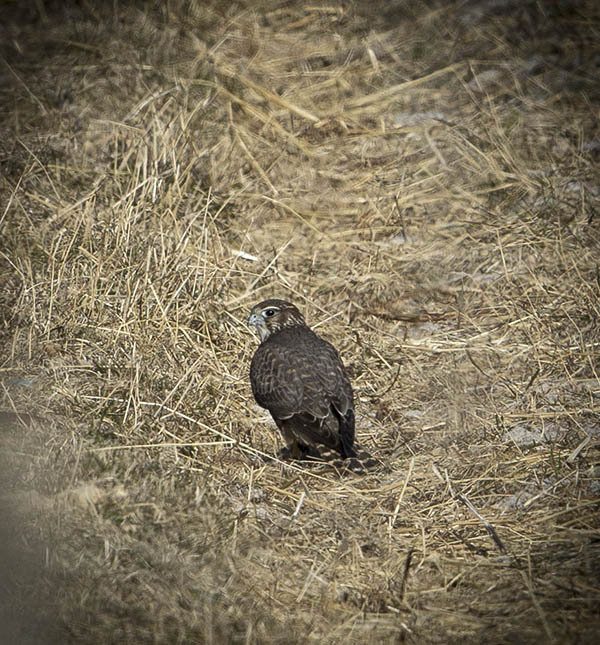 Nice view of a Merlin on the way back to the car though – it was carrying it’s supper of Turnstone. The funniest thing that happened was that Ian had spent weeks being cheesed off because i saw Rock Pipit on the patch while he was away – we’d not recorded it on our patch before so he was holding out little hope of seeing one. The morning after we arrived back from England he found a dead one outside on the decking. He so wanted to tick that bird, but nope, sorry, dead don’t count! Had some great sunsets over the last couple of weeks too. Migration seems to be in full swing now – there were hundreds of Golden Plover and Redwings on the machair this afternoon, they were all feeding, fuelling up no doubt for their journey north. I spent at least a couple of hours there watching this amazing sight, all to the background soundtrack of singing Skylark’s and displaying Lapwings. I love the machair!